Well, the no-makeup look is a rage these days but still there are people who like to make them up since the fast-paced lifestyle makes almost impossible to take proper care of your skin. For this reason, many people use makeup to conceal their skin problems. Do you guys know that you can also use contact lens solution for makeup? Yes, you heard it right. Today in this article we are going to share some simple and easy ways to use this item. If you are not able to draw a clean and fine line with your eyeliner then, there are chances that your liner might have turned flaky or dried up. But, you can easily fix this issue by using the lens solution. • To revive your dried eyeliner, add 3 droplets of lens solution. • Shake the bottle gently to get moist and creamy eyeliner formula. • After that, you can use the liner to spread it evenly on your eyes. 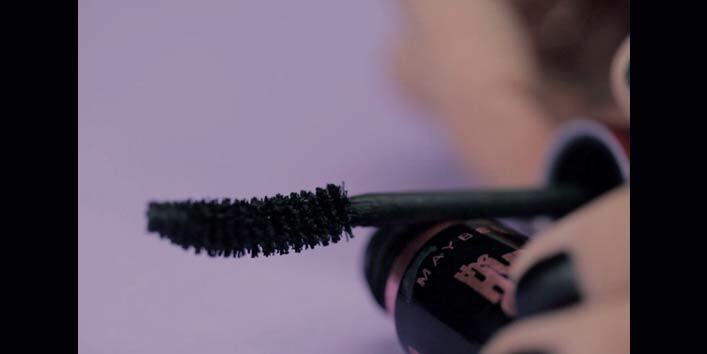 If you are looking for ways to fix your clumpy and dry mascara , don’t worry as you can easily fix this issue. 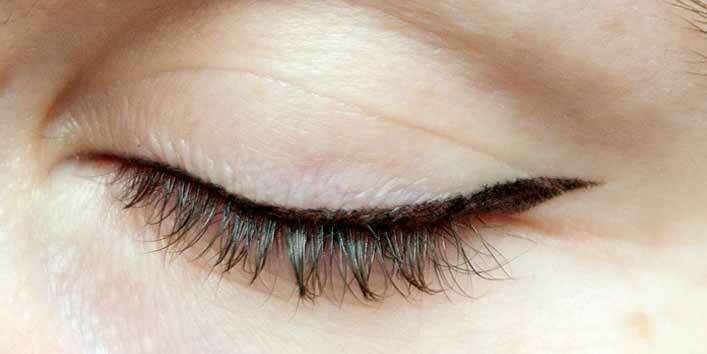 People generally add some essential oil or water to improve the consistency of the mascara which affects your look. So, try out this simple solution that we are going to share with you. • Add 3 drops of lens solution to the mascara tube. • Now, shake it gently. • Your mascara is ready for the use. Note: Avoid pumping the wand in and out as it makes the area dry. Worried that your kajal may not last longer or look duller? Well, we have a solution for that too. • First, take a cotton bud and dip it in some contact lens solution. • Now, run the bud along your waterline and wait for a while. 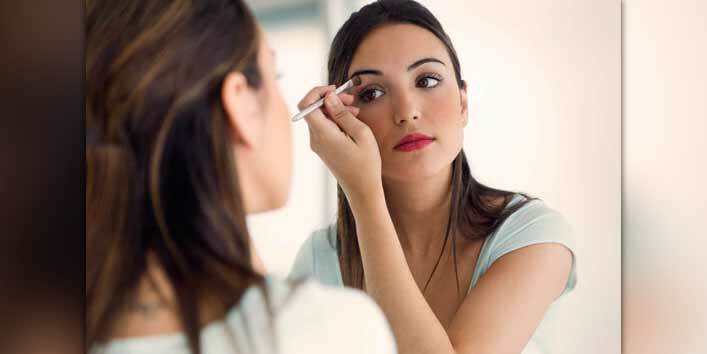 • Then, start applying kajal to get the finished look. If you also love wearing intense makeup then, eye shadows are the one area which can help you with this. Generally, eye shadows appear vibrant and bright only on the covers of the magazine cover. You can now achieve the same look for yourself by adding a lens solution to your eye shadows. • First, take an eye shadow brush and make it damp with the lens solution. • Now, pat it over a clean tissue to remove excess product. 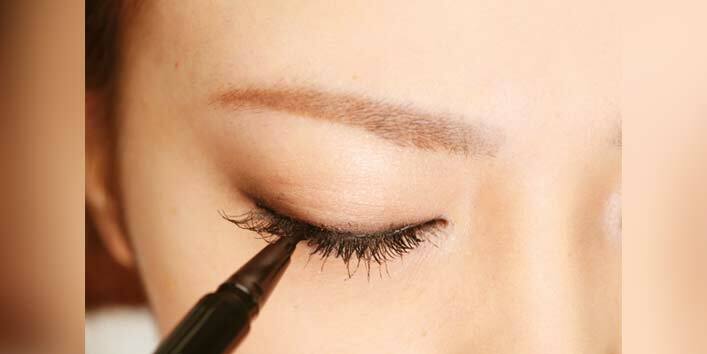 • Then, pat the brush over your eyelid and instantly get brighter and intense shade. Do you also wish to apply different colour eyeliners daily? Well, then we have a solution for you. You can prepare your own eyeliner using contact lens solution. • Pick up your favourite eye shadow. • Now, mix it with few drops of contact lens solution. • Then, add this blend in a clean container. • And your customized eyeliner is ready for use. So, now you know how to use this amazing item, try to keep it handy to get that perfect makeup look.